There has always been money in campiagns and in governance. This we understand; governments chiefly are formed and operate to move money from here to there. Campaigns cost money too. Community conversations about how to move money require money, for media and for communication services. All of the above we know, we accept, we can agree to. But as my Dad used to say, “too much of anything is a poison.” Too much money kills off the civic events. We saw this in the recent Mayor election, where a majority of the money spent by the two finalists came from “outside” PACs, some of them secret. We see it in Washington, where big-pocket book PACs threaten Congressmen, put challengers in the field to run against them, and inundate elections with all manner of misleading — deceptive — palpably false — advertising to promote the PAC’s specific interest and, so doing. have brought the Federal government almost to a standstill : a condition that many of these PACs openly seek. the best-funded and greediest of them want to roll back 80 to 130 years of social progress . They want government out of thed way and unfunded so that their donotrs can do want they want with America’s money. This we have seen and tasted and found most foul. It is most foul. Our society is everybody who lives in it — nothing less. A raid upon the inclusion of everyone is sedition. Somebody in my twitter feed recently said, “the rich employ FOX to set the middle class against the poor.” True. And after they come for the poor, they will come for the middle class. You don’t like it ? Too bad about you. It need not be. There’s another saying that seems germane right now : “you can fool all of the people some of the tome and some of the people all of the time, but you can’t fool all of the people all of the time.” Abraham Lincoln said that. He knew the truth of it so well, because no president in our hiostory was the object of so much vitriol amd so many self=seeking lies as was he. Eventually the voters will wake up to the fraud that the greedy are perpetrating upon them, and all the PAC money in the world will then just prove the point. But in the meantime what damage is abroad in our land ! Our economy is hugely tilted toward the top earners. 95% of us have seen oure arnings stay still, por dtrop, in trelation to procers. Millions of us have been out of work for years; skills have vitiated; how will they now start over ? As for the lost years, the years of penury or bare survival, they can’t be made good. An entire genmeration of workers — maybe 20,000,000 of us — has been hammered by student debt that can’t bne discharged in bankruptcy, weakened by under-employment, injured by stress that hurts one’s health, left almost helpless by having no helath insurance. Barbara Ehrenreich says that these millions of us have been “nickeled and dimed.” She nails it. Worse still, in the current tone of our politics, these 20,000,000 — and many millions more whose home in come amounts to just a little more, enough to get by but not to save or move up — don’t get heard. Who speaks for those of us who most need a speaker ? A few do. Senators Elizabeth Warren and Bernie Sanders speak for America’s vulnerable. I’m not sure they have much effect, however. The huge monery greed-PACs can’t trouble warren in Massachusetts or dsanders in Vermont, and they can’t trouble Barbara Boxer in California or Chris Murphy in Connecticut. The Northeast of our country — its richest part, ironically — still has a social conscience and honors the social compact that america used to take for granted. But outside the Northeast (and even in some areas of the Northeast), the greed money pressures, intimidates, forces legislators to kick most constituents to the curb. 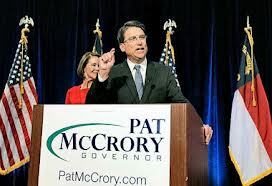 Among the worst offenders is the Governor whose picture heads this column : Pat McCrory of North Carolina. His entire legislative program has been pushed by — much of it drafted by — seditious big money organizations. Two more favorites of greed money are Sam Brownback of Kansas and Rick Scott of Florida. Brownback wants all state taxes gone; Rick Scott cuts social services to the poor. Are these guys nuts ? What sane politician would purposely alienate a huge number of voters ? Well, politicians do that if the money demnds it of them. It’s hardly likely that Governors would dare to propose eliminating state income taxes, file vote suppression legislation, cut teacher staffs, wipe out union benefits, make abortion all but unobtainable, harass immigrants, cut off unemployment pay, engage private prisons, loosen gun control, or cut funding for infrastructure — were it not that the vast money pools insist upon it, demand it, swamp their state with demagogic advertising that demonizes those who need state services, health care, voting rights. This is the reality in those parts of america where sedition has a paymaster with unlimited funds to pay. Candidates compete to see who can express the basest contempt for the most people. Why ? Because that’s where the campaign donations are. America is losing its might to these paymasters. Companies can’t get new hires who have the technology skills to handle evn entry-level jobs. Kids don’t learn anything about American history or citizenship. Parents are too busy working two and three jobs to give their kids the reading time — the intellectual and citizenship challenges — that kids need. Immigrants, our nation’s very essence and its source of innovation, new ways, striving, and heroic endurance, were once valued and welcomed. Now they are disliked and pushed out. Self-serving religionists push their voices into the news, gain attention for their bigotry and outrage, thus reaping huge donor dollars for theur “ministries.” We are mounte-banking our society, collapsing its organs. We are killing our future chunk by chunk. The Supreme Court has ruled that corporations have free speech rights; that money for political advertising is protected as free speech’s enabler. It’s hard to find a workable way to didagree that does not impede legitimate expenditures for speech. I have yet to see a Constitutional amendment for this purpose that won’t throw the baby out with the bath. The most effective way is to fight the sedition on its chosen field of huge money demagoguery. 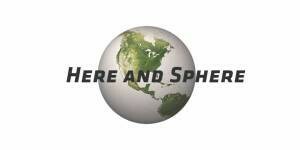 Where are the social compact hedge funders ? The income fairness billionaires, the civil rights tycoons, the urban reform grandees ? There are some. There are more than just some. It’s time for them to commit huge money against a sedition that is destroying millions of families, society’s decency — the economy itself — day by day, election by election. Occasionally the people can defeat the armies of reaction. 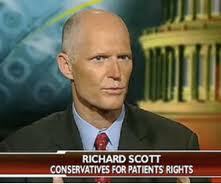 Rick Scott ;looks likely to lose in 2014. Tom Corbett, the vote-suppression avatar, seems in big trouble in Pennsylvania. that’s good; but it is not enough. It’s time for the Cavalry of progress to rescue us. On this forum you will find there’s benefiting word about IT. I came across a promotion associated with wifi routers!